First things first: I need to ensure as many people as possible have seen Sylvain Chomet's Simpson's couch gag. It's brilliant and yes, beautiful, and it WILL make you smile. Watch it. Huge news for British comics publishers, Self Made Hero, who announced they'd accquired the UK and Commonwealth rights to Bryan Lee O'Malley's highly anticipated Seconds. Seconds will be published in the US this July by Ballantine/ Random House. O'Malley will also be undertaking a UK promotional tour to coincide with the August release of the book. John Allison reflects on the maturation of his web-comic, Bad Machinery, and the decision to have his characters age in real-time. I think that's a great creative and challenging decision, and I hope it pays off for him. 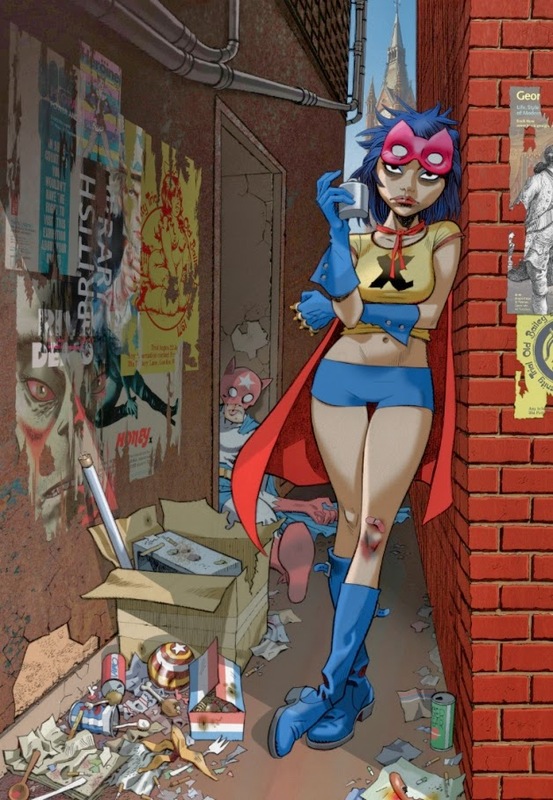 Jamie Hewlett (Tank Girl, Gorillaz) creates two posters for the upcoming British Library exhibition (below), 'Comics Unmasked: Art and Anarchy in the UK.' 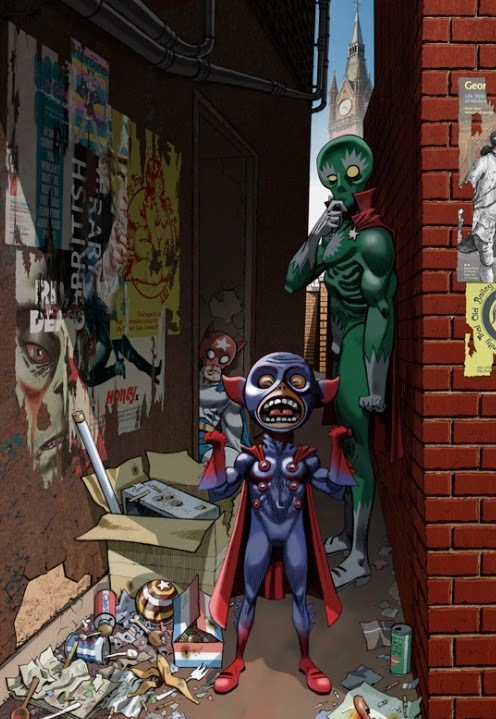 The exhibition will run from 2nd May until 19th of August and is the largest comics exhibition in the UK to date. You should go and take a look at James Stokoe's site, where he's recently posted a raft of images that he's been working on. Truly awe-inspiring. Fantagraphics released their fall catalogue, and the two books that stood out to me were the complete edition of Jordan Crane's Uptight, and a full-colour, print version of Hans Rickheit's Cochela & Eustachia, previously serialised as a web comic. Rebecca Tobin's Summer Detective comic is so good; the colours and lines so evocative of the heat and tone. A new Corinne Mucha comic on the perfect hair day. This Humpty Dumpty story from Echo of Futurepast #4 is minus the original text, but with complete original painted art by Arthur Suydam and is all the more wondrous for it. Bernie Wrightson's Edgar Allen Poe Portfolio is definitely worth a look. 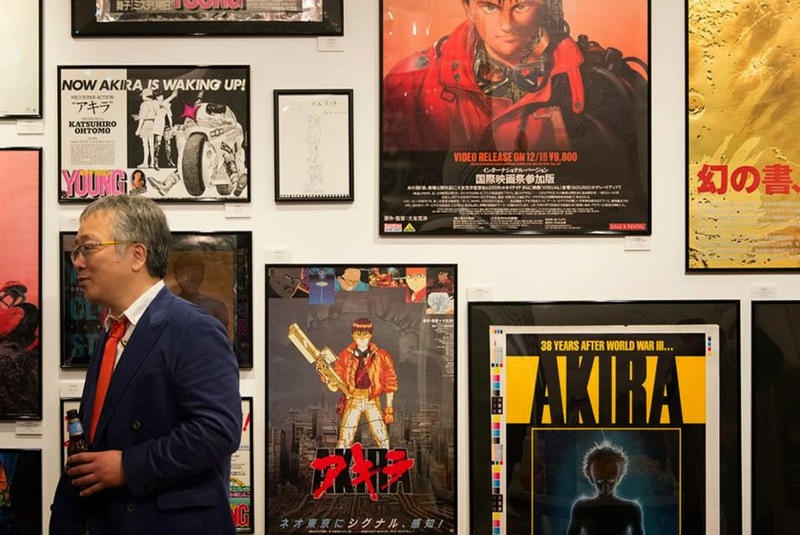 Further Akira related news: here are some photo's from the Katsuhiro Otomo poster show- I like the one below; Otomo-san looks like he's having a good time, and it's always good to see his art being celebrated. 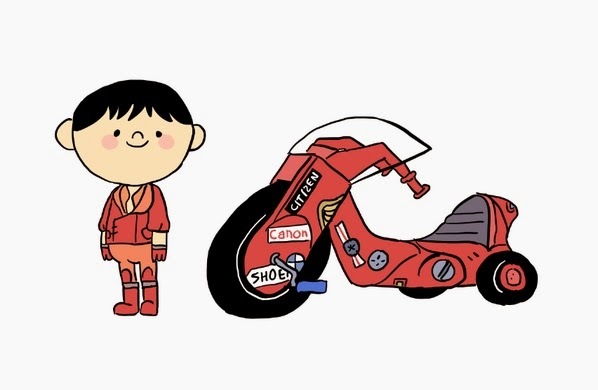 There's an accompanying book that you can buy, available from Amazon Japan only, as far as I can tell.